From conception until the present, C.G. 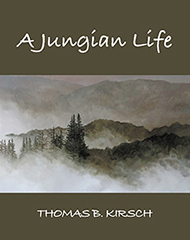 Jung, his ideas, and analytical psychology itself have been a central thread of Thomas B. Kirsch’s life. His parents, James and Hilde Kirsch, were in analysis with C.G, Jung when he was born, and he was imaged to be the product of a successful analysis. At an early age, Dr. Kirsch was introduced to many of the first-generation analysts who surrounded C.G. Jung, and over time became acquainted with them. Later, in his roles with the IAAP, he gained a broad knowledge of the developments in analytical psychology, and through both his early family history and in his later professional life, Dr. Kirsch worked closely with many analysts who were integral in forming the foundations of analytical psychology. Thomas B. Kirsch is a Jungian analyst in private practice in Palo Alto, California. He was president of the C.G. Jung Institute of San Francisco from 1976 – 1978, served on the executive committee of the International Association for Analytical Psychology from 1977 – 1995, and was IAAP president from 1989 – 1995. Dr. Kirsch was the co-editor of the Jungian Section of the International Encyclopedia of Psychoanalysis, Psychiatry, and Neurology, 1977, as well as editor of the Jungian section of the three volume International Dictionary of Psychoanalysis edited by Alain de Mijolla, 2005. He is the author of The Jungians: A Comparative and Historical Perspective, Consulting Editor to the Correspondence between his father, James Kirsch and C.G. Jung, 2011, as well as many published chapters in books, articles in scientific journals, and book reviews. In 2013 he co-edited with George Hogenson a book of papers on Jung’s Red Book. For more information on Dr. Kirsch, see his website at www.jungians.com.